Weeds do not have to be part of the equation when gardening. I will show you three easy ways to have a no till garden. We always have in the back of our mind, hours of being bent over, pulling and tugging at weeds to try and achieve that perfect weed-free garden. This is of course after the tiller has been run to till under the weeds and loosen the soil. But what is really happening is that you are planting weeds when you till the soil. This first type of no till gardening will be discussed by Dr. Lee Reich, a former plant and soil researcher for the USDA and professor of horticulture, author, and longtime avid gardener. 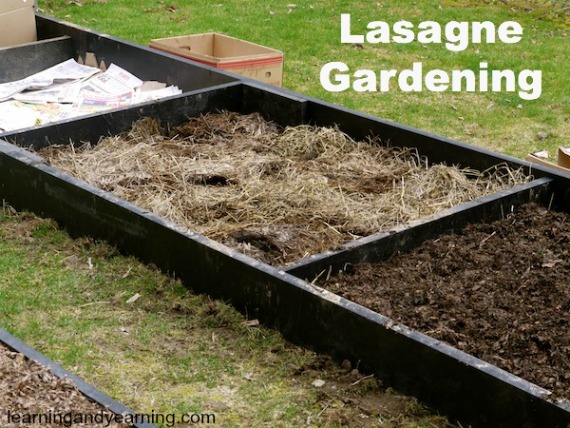 The next method of no till gardening is dubbed “Lasagna Gardening” because it is done in layers like lasagna. Start with newspapers or cardboard and place that on the ground where you would like to garden. The concept is to lay out a weed barrier, build a frame that is 4×4 and place a grid on top that has 1 foot squares. This is a very efficient method of gardening, as developed by an engineer. 1. Use organic material to keep weeds from sprouting. 2. Establish a permanent path in your garden to keep from compacting the soil. 3. Water using the drip method. 4. Use compost for fertilizing.